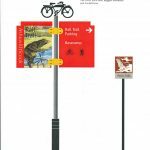 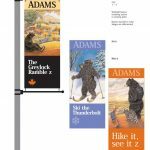 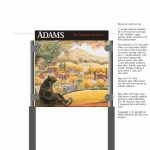 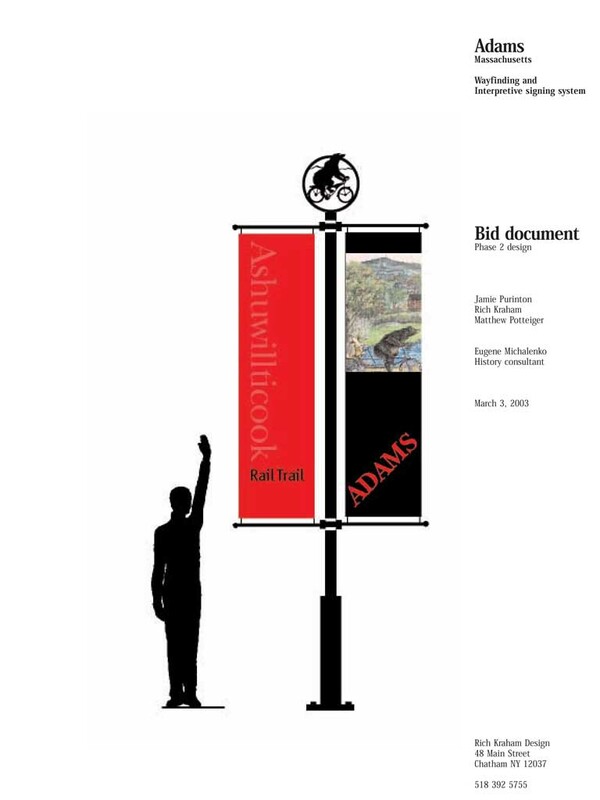 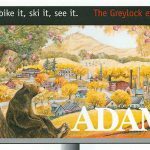 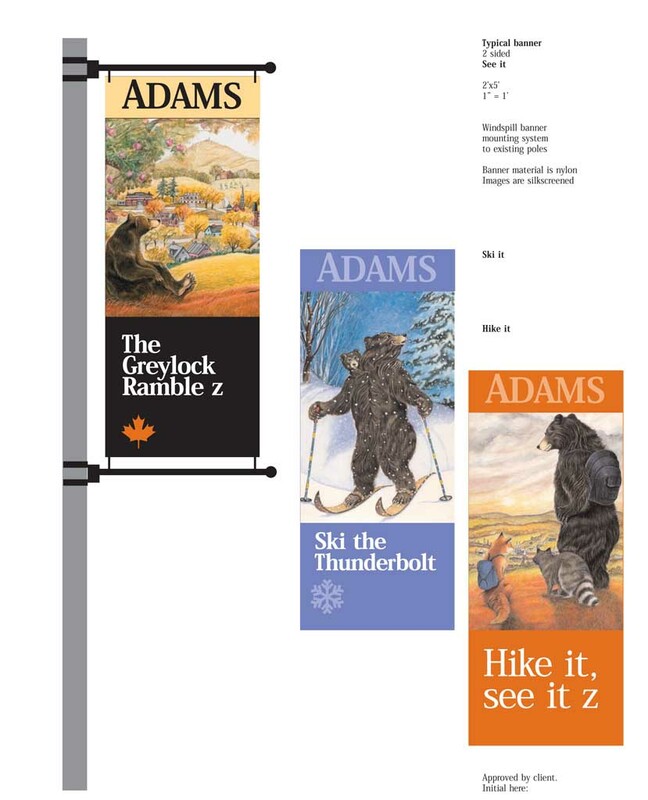 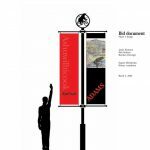 This way-finding master plan and signage plan for the Town of Adams included Graphic Designer Rich Kraham, Illustrator Roberta Wilson and Landscape Architect Jamie Purinton. 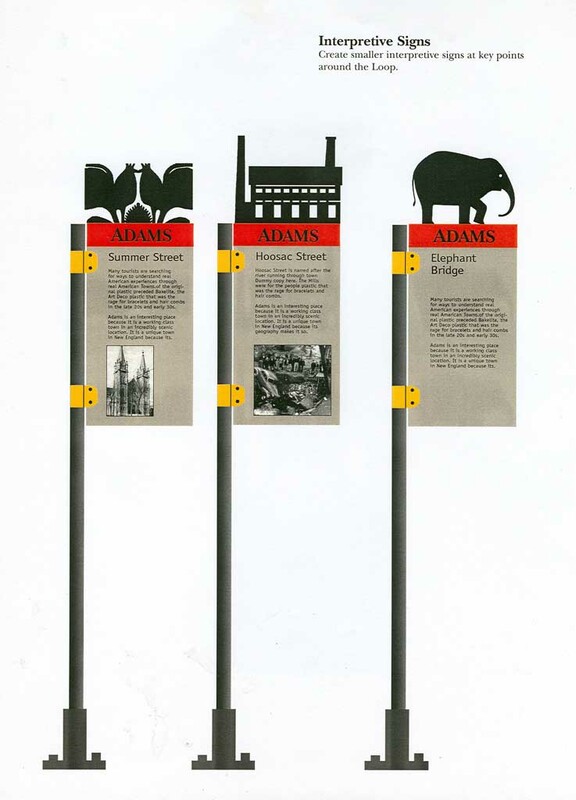 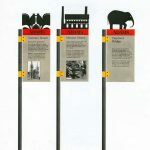 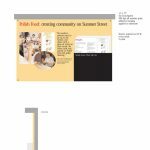 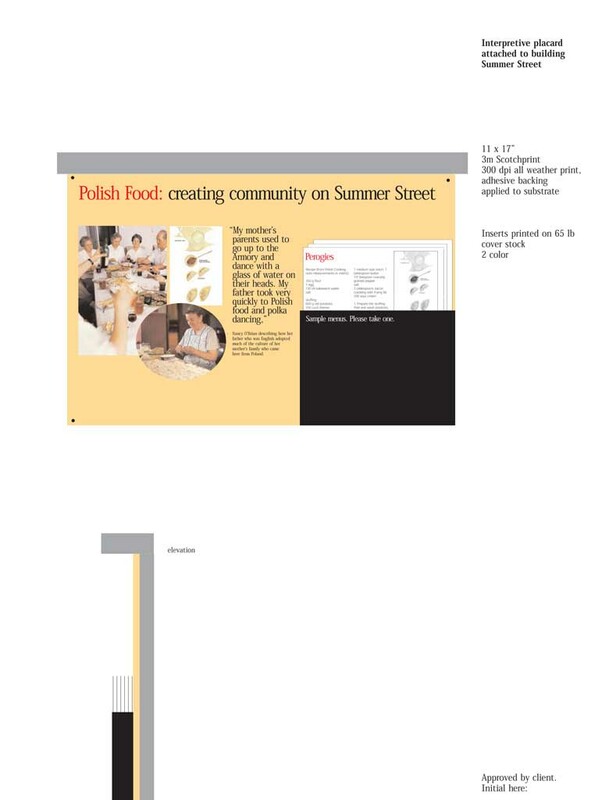 Through workshops, interviews and presentations the team gathered public input to create a signage system and interpretive elements that would boost downtown business and tourism. 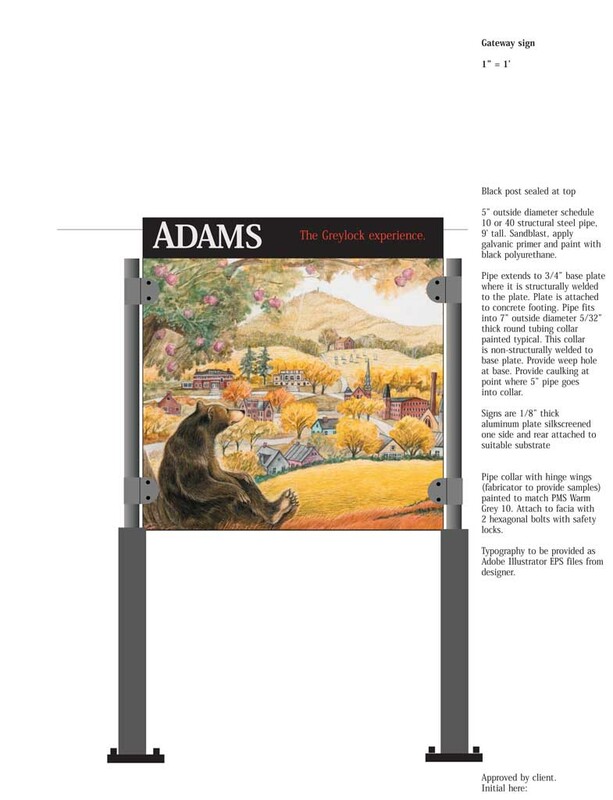 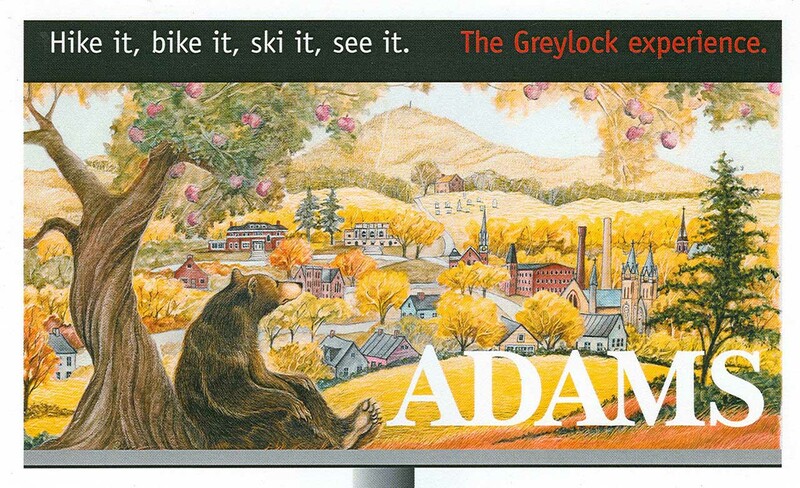 The landscape narratives inspired a design that reflects the distinct character of this old Berkshire mill town and its important connection to Greylock Mountain. 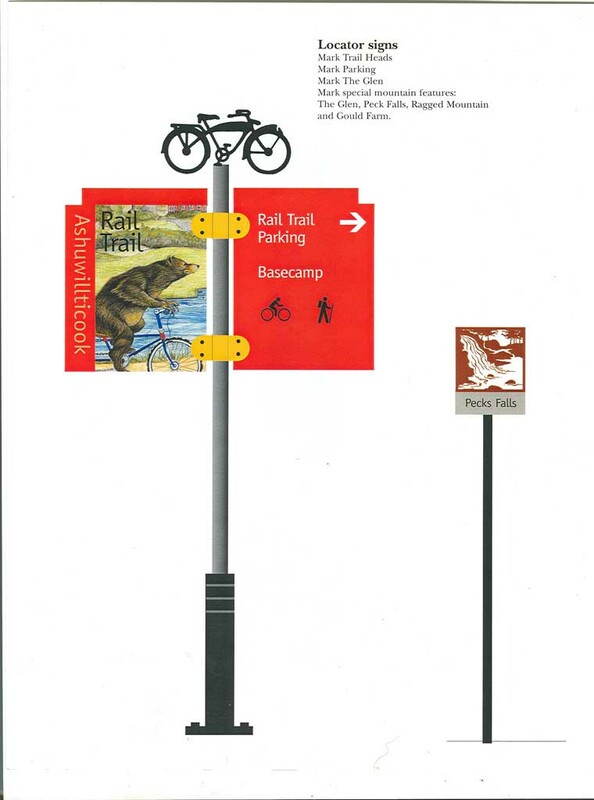 Matthew Potteiger, Illustrator Roberta Wilson and Rich Kraham Design.